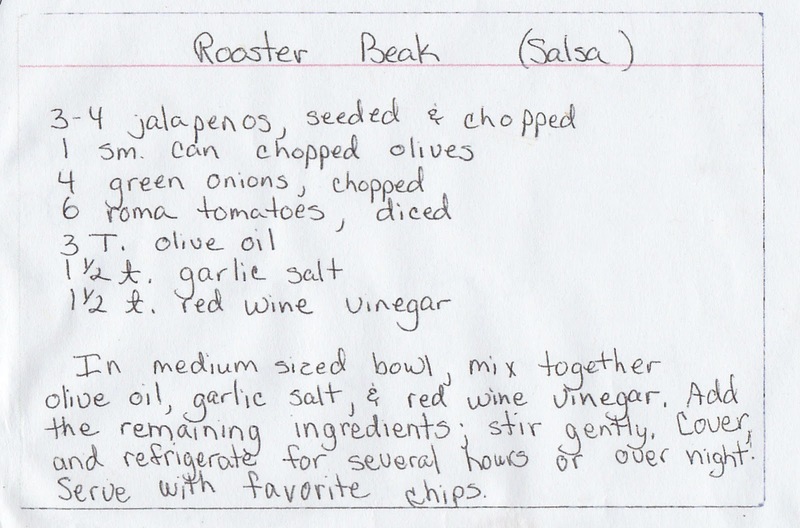 My sweet neighbor, Pam, gave me some fresh veggies from her garden, along with a recipe for a really delicious salsa. 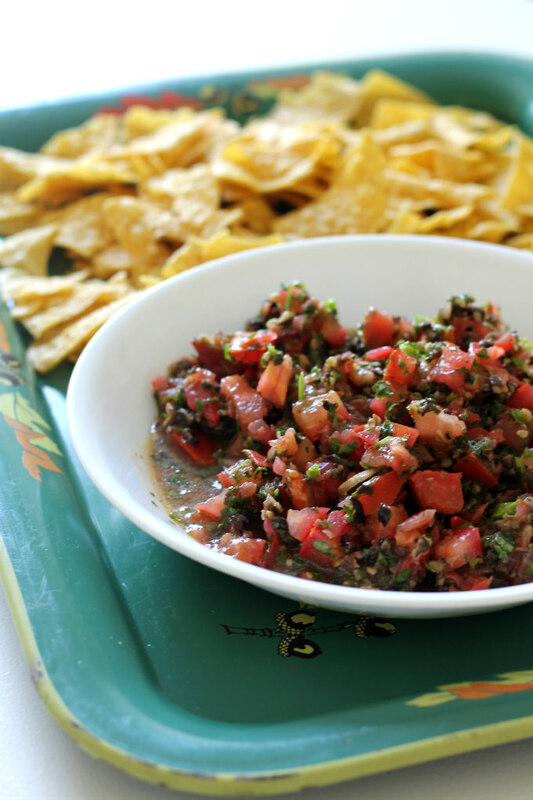 She gave me a taste of the salsa that she had just made, and it was so good that I immediately went home and made a batch up for myself. I asked Pam if I could share the recipe on my blog, and she kindly said yes. What I think is so yummy and unique about this salsa is that it has black olives in it. I had never had a salsa with olives before. 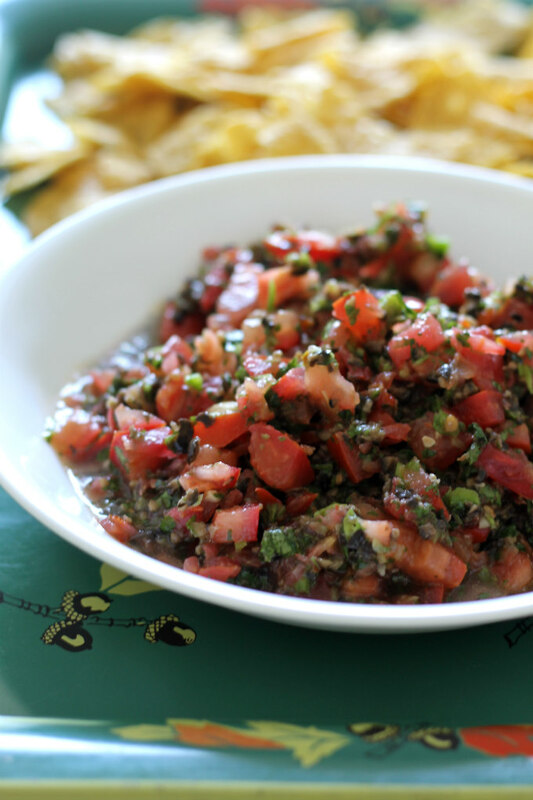 When Pam makes this salsa she uses her vegetable chopper that chops her jalapenos and tomatoes into the perfect size bits, but since I don't own a chopper, I just used a knife to cut up my jalapenos and tomatoes. Mine might not look at pretty as Pam's' but it still taste the same. Pam always triples the recipe when she makes a batch. I did change a few things when I made mine; I used fresh garlic instead of garlic salt and I also added a large bunch of chopped cilantro. I love cilantro and so I just had to add it. The recipe doesn't ask for salt and pepper, but I added some as well. I hope you will try it out! Now, I'm just waiting for Pam's cantaloupe to be ready. She grows the most delicious cantaloupe I have ever tasted in my Life!! I once made a Cantaloupe & Cucumber Coleslaw with her cantaloupe and it was heavenly.